The National Weather Service has again issued an excessive heat warning and hazardous weather outlook for Barrington, along with most of Camden, Gloucester and Burlington counties and parts of southeastern Pennsylvania. The warning is in effect from 1 p.m. today through 6 p.m. Thursday, according to the weather service. 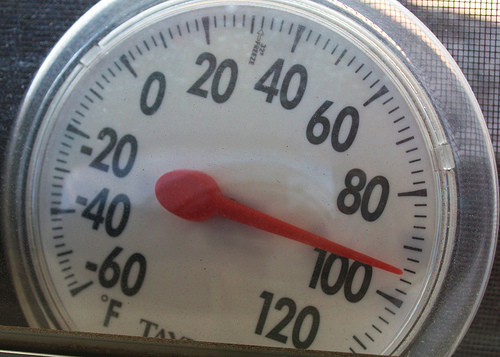 A heat index of about 100 is predicted for this afternoon and near 105 on Wednesday. “The cumulative effects of the heat are danger to everyone, but most especially to the elderly, the infirm and the very young,” the weather service notes. Read the entire warning here. This entry was posted on July 17, 2012 by Barrington Bulletin in Region, Safety and tagged excessive heat, heat, heat wave.